Now for the ideas. Please comment below to add your own ideas or suggestions…everyone can contribute. 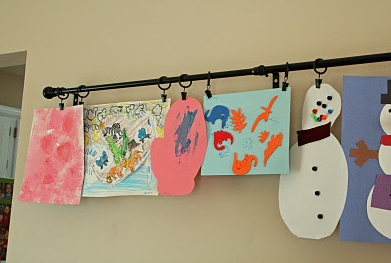 Hang a Clothesline in your child’s room or playroom (high enough that the child can’t get hurt) and then use clothespins to hang your child’s art. This is similar to the clothespin idea, but instead by a curtain hanging system. 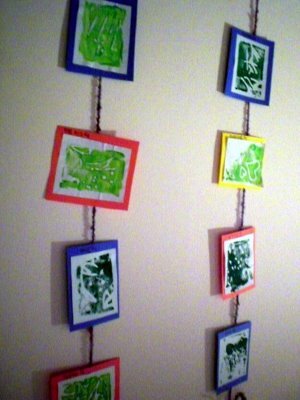 Instead of hanging curtains with the clips, hang the artwork. This idea comes from Project Nursery … visit it to find out how she did it. 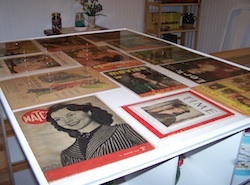 There is a great how-to article, on the Examiner.com, about making a Plexiglass table cover in order to display artwork underneath. You can just go to Home Depot or Lowes and have them cut down a sheet of plexiglass to the same size as your table. 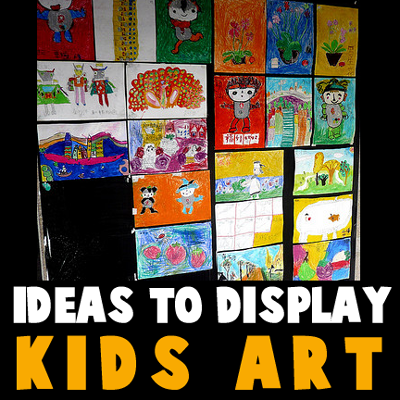 Then just place the plexiglass on top of your child’s art that you want to showcase. 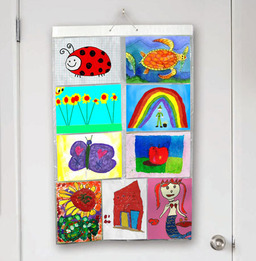 On a Blog called Clean and Scentsible, we found another way to display your child’s artwork. Hang Clipboards, and place newest artwork on the top layer that is showing. 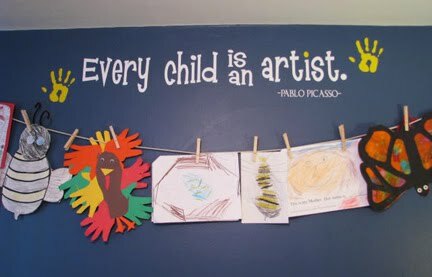 This is a really smart and sensible way to display your child’s artwork. I found a great example of hanging art from vertical lines of yarn or string or wire on a site called Spiral Montessori Mama. As this talented teacher / blogger suggests…just hang yarn from the ceiling with tape….then as your child brings home artwork just tape it to the yarn. I like how this teacher places a colorful piece of paper behind each piece of art to sort of frame it or mat it. On Zillow.com, I found a great idea. 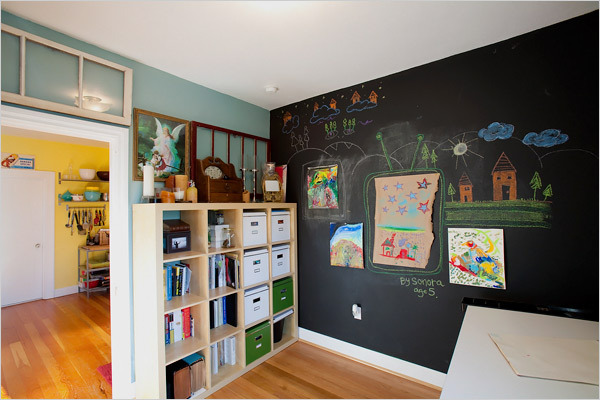 How about paint an entire wall with magnetic paint and then covering it with chalkboard paint (optional). 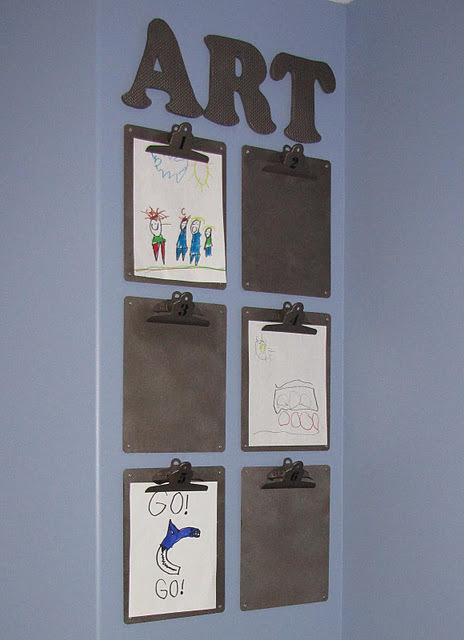 You can then display all of your child’s artwork on a giant wall, instead of your refrigerator. Just a note…I did the same thing…I put 2 coats of magnetic paint and then a coat of chalkboard paint. It isn’t magnetic…although the chalkboard paint works great. I am just telling you this so you know that you might need to coat the wall with many coats of magnetic paint for it to work. 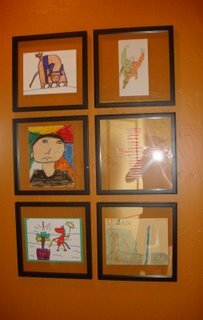 How about creating a special museum wall in your house….all with your child’s framed artwork. The above picture comes from Inside-OutDesigns.com. 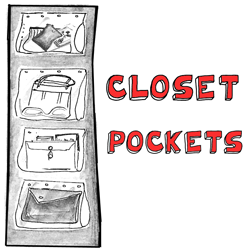 I found a simple pocket display case that has 9 pockets on each side of the case. 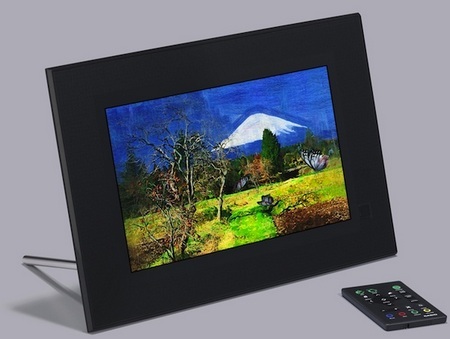 You can then hang it either on a door knob or on the wall without damaging it. If you want to make one of these one your own (so you don’t have to buy it), you can see a similar sort of creation here. This artwork was found on the blog called Quince and Quire. This blogger sewed her child’s artwork to a moleskin sketchbook to give to somebody as a gift. This is a great idea…but for somebody who hates sewing, this sounds tedious….how about just using hot glue or even colorful duct tape as a frame. Another idea is finding a notebook that has a clear cover and attaching it underneath the clear cover. 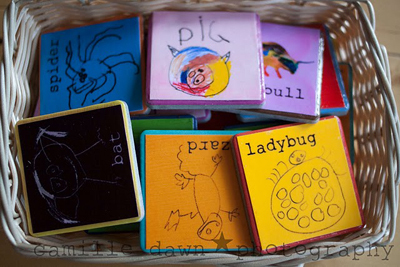 You can Mod Podge your kids’ artwork to coasters or any other item such as your child’s bookcase or wooden bed. This will bring your child’s room alive with color…and it is quite easy to do. This was found on the site…Mod Podge Rocks! 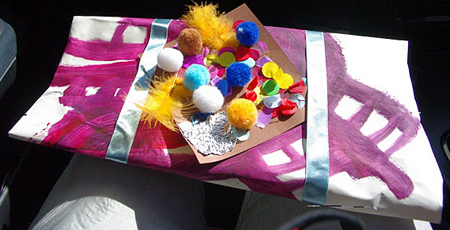 On Krafty Guts Blog, the blogger used her child’s artwork for wrapping paper. This is a great idea…this makes the child feel so special. 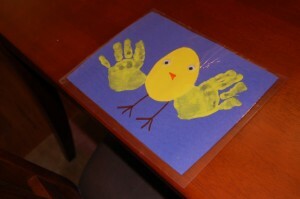 On the blog, Make Create Do, there is an example of a place mat made from a child’s piece of art. This is also a great idea. How special is it to your child that you would make a permanent use for his creativity. Awesome idea. I love, love, love this idea. 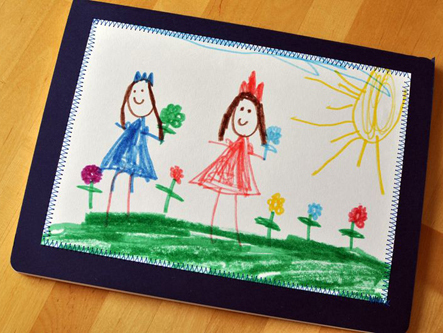 How about you scan all of your child’s work and put them all on permanent display in a digital frame. This is a really cool idea to have a cabinet that holds up to 50 pages of artwork. 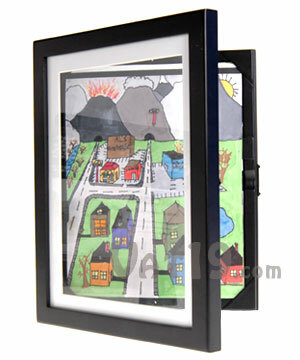 It then has a hinge that lets you open up the frame like a book to turn thru the pages. I found it here, see if you like it when you take a closer look. 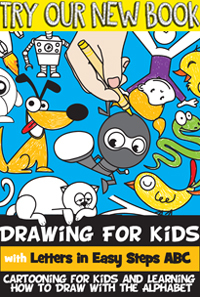 On sites like Snapfish.com, you can create all sorts of things from your child’s artwork, such as stickers, puzzles, magnets, notebooks, coffee table books, posters, t-shirts, playing cards, etc.